Virtual Visa cards | What are virtual Visa cards and how do they work? A virtual Visa card is a set of card numbers that are randomly generated. The numbers represent your Visa card or bank account, but thieves can’t use the numbers to get your information or your money. Virtual Visa cards are more secure than using regular debit and credit cards, leading many businesses to use them as a part of their payment processes. Of the four major types of credit cards, Visa cards are the most popular. In the first quarter of 2018, there were 342 million Visa cards in the U.S. and 755 million worldwide. Visas are popular because they are almost universally accepted, and ATMs are adapted to be used with Visa cards. How does a virtual Visa card work? A virtual card Visa card represents your account but is simply a set of random numbers and a CVV code that can be generated instantly. You can use the virtual card Visa card to make purchases within a few minutes of its creation. When a virtual card Visa card is used to make a purchase, the cost is routed back to the underlying account that is linked to the number, and the payment is made from the account. The virtual card Visa card number expires as soon as it is used, making it useless for would-be thieves. Where can a virtual Visa card be used? Virtual business cards are not made from plastic. They are simply numbers that are generated to make secure purchases. Since they are not plastic, they can only be used by businesses to make purchases online or over the phone. Brick-and-mortar stores are not equipped to accept virtual business cards. However, the virtual business cards can be used to make remote purchases from any merchant or supplier that accepts Visa cards. You can use virtual card Visa cards to purchase whatever you want remotely. You can restrict the cards to purchase only the items that you have authorized or to only be used to make single payments to specific merchants. Some businesses use virtual business cards to make single purchases and restrict the numbers to the merchant that is selling the items. The businesses may also limit the cards to the purchase price of the item that is being purchased. 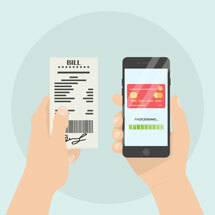 Virtual business cards can give you more control than other payment methods. You are able to restrict the cards to be used to make a purchase from a specific merchant. 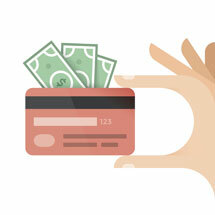 You can also limit the amount that can be spent on the card to a specific dollar amount. Virtual cards can be set to expire as soon as they are used. You can also choose to turn a card off and then on again later when it is time to make a new purchase. Virtual card Visa cards have added security measures. 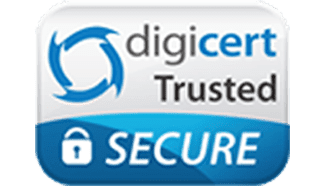 They are protected by 256-bit SSL encryption technology and cannot be traced back to your account or to your business. Virtual card Visa cards cannot be used to withdraw money, and they can expire immediately after they are used or after a short duration. If employees, hackers, or shady suppliers steal the numbers and try to use them later, they won’t work. A virtual business card is much more secure than using checks and cash and can also help to streamline your payments process. When you have a petty cash fund at your business, employees may be tempted to take small amounts with the idea that they will pay it back. Businesses that use checks are also targeted for fraud. Some bookkeepers may issue duplicate checks and make fraudulent entries in your ledger. 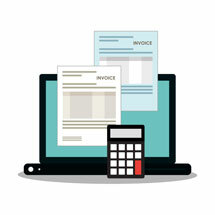 The transaction costs involved with purchases are also expensive and can be eliminated when you use virtual cards instead of requisition forms, purchase orders, and checks. A virtual card is much more secure than a business credit card. Virtual card Visa cards can be restricted to the amounts that can be spent and where they can be used. If the virtual cards are debit cards, the purchases also do not incur interest. 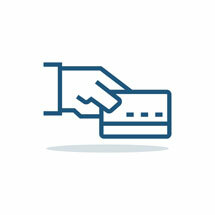 Business credit cards cannot be restricted to the amount that can be spent or where they can be used. The purchases may also incur interest if the balances are not paid in full each month. Employees and hackers can steal the business credit card numbers and use them to make fraudulent purchases. When your business uses virtual cards, the transaction costs can be lower than what you might spend on traditional purchase processes. The National Association of Payment Card Professionals reports that the average transaction costs that are incurred with each transaction range from $55 to $100. If you use virtual cards, you can eliminate the typical purchase request and approval process, saving up to 83 percent on your transaction costs. Virtual cards allow your employees to make purchases that you need without having to submit requests. Virtual cards are a great way to prevent fraud and to reduce your business’s risk of becoming a fraud victim. Since the numbers only represent your underlying account but cannot be used to access it, they are useless to thieves even if they happen to steal them. Virtual cards can also protect you by allowing you to restrict their use to specific merchants in set amounts. Once the cards are used, they will not work. Your employees can’t use the cards to make purchases elsewhere for themselves. A particularly egregious case of corporate credit card fraud happened at Bankia, Spain’s national bank. According to the New York Times Rodrigo Rato, the former head of the International Monetary Fund and the leader of the bank, engaged in a fraud scheme with several other bank executives at Bankia. The executives ran up $14.17 million in fraudulent purchases that they used to fund lavish lifestyles. One executive committed suicide after he was sentenced to prison. Rato was sentenced to serve four and one-half years. The appeal of his sentence was denied. In this case, virtual cards could have prevented the fraud scheme. Controls could have been set to restrict the purchases to only preapproved items from specific merchants. When you are shopping for a virtual card, there are some features that can offer you more benefits. Look for cards that come with the ability to control when and where the cards can be used. The cards should also let you set the spending limits that you choose. The best virtual cards should be debit cards so that the purchases will be subtracted from your account, giving the spending greater transparency. You should not be charged high rates of interest or high annual fees. In order to find a virtual Visa card, you can research different business card issuers online. 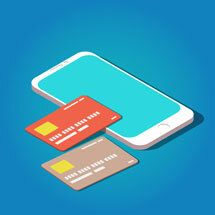 Virtual cards may be offered by a variety of banks and card companies, but not all of the cards will have the best features. When you research different offers, make certain to read the fine print so that you are aware of any fees that you might be charged. You should also read reviews from other customers of the companies so that you can gain some insight into how the companies work for business customers. One great feature of using virtual cards to make purchases at your company is that you can eliminate expense reimbursements. You can generate a virtual card number and give it to an employee to use to make a needed purchase instead of asking him or her to use his or her own money. Ending reimbursements can help both you and your employees. The employees will not have to wait for their reimbursement requests to be processed before they are repaid. You will not have to worry about your employees padding their reimbursement requests or submitting requests for personal purchases. 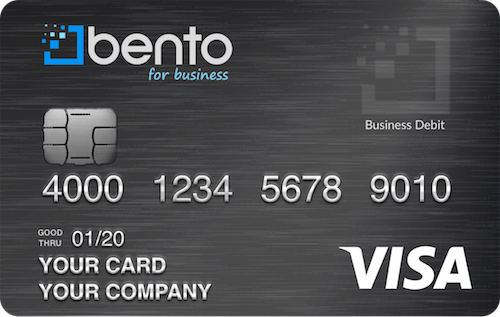 The Bento for Business Visa debit cards offer many benefits to businesses. They are not credit cards and will not require credit checks. You can order 10 cards for $29 per month, and there are larger packages available. Bento’s powerful virtual card API lets you integrate it with your proprietary programs. This can allow you to instantly generate the virtual cards that you need and issue them to your employees as you see fit. There is a free 60-day trial so that businesses can try the cards out to see if they will meet their needs. To learn more about the Bento virtual cards, call 866.220.8455.